Employee training with our Mission Control App puts the pulse of your company in the palm of your hand. Get in the drivers seat. Take hold of the wheel by building a private channel for all of your companies safety, compliance, HR, culture and operations information, allowing you to drive a well oiled machine. Load your existing videos and PDF’s into our system, or pull from our pre-made library of resources to quickly create your training program. Want to create custom content or have old material that needs to be updated? Our creative team can work with you. Personalized courses allow employees to receive private lessons based on individual needs or company roles and can be created for different languages. Training is efficient, engaging, individualized and mobile. 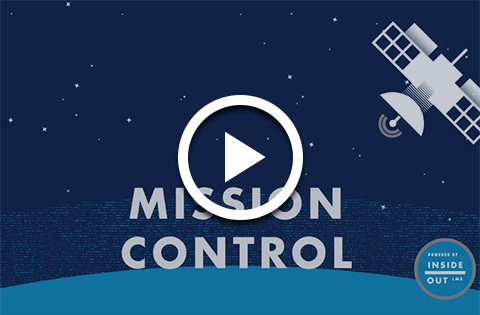 Mission Control ensures your employees understand what you want them to know. Track their results and get reports that become the pulse of your business. Allow employees to get certified when they pass a series of assessments, and they, too, will feel a sense of accomplishment. No Internet connection? No problem. Downloadable resources allow your employees to take training with them wherever they go. 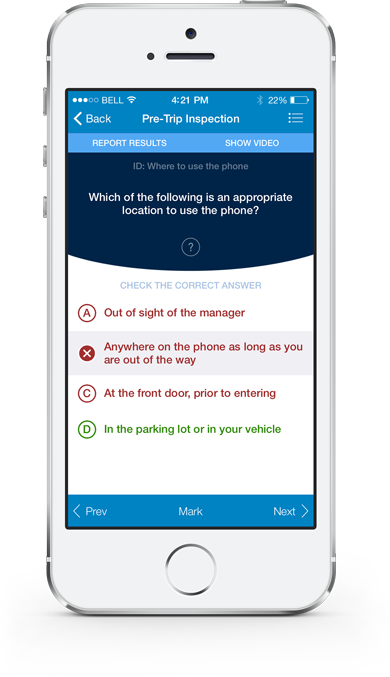 Delivered through the app in video and PDF formats allowing employees to get what they need, no matter how they learn. Individual job titles require their own specific set of training, right? With libraries we make it simple to give your people what they need. Our proprietary testing system ensures all testing is randomized while ensuring retention and application of key points. Employees report their results and you get notified. Regular reporting allows you to see who’s making progress and who needs support. If you deal with contractors from different companies or employees working on multiple projects, our certifications tool let’s you know who’s ready to go. Take training to the next level. Want to improve the training experience and maximize potential of your team? We’ve got the tools to make it happen. Build your company’s training and ongoing communications hub, ensuring your team is always on the same page. Reduce time, expense and the risk exposure in training and retraining your employees. Add in material to disperse quickly to your entire company. Never again question if your employees are getting the training they need. We custom build field guides that ensure best practices and company processes are understood and applied. The trainers and managers will remember all they need to teach, and the employee will comfortably execute in training. We bring your handbooks to life with images and stories that make your employees feel connected and valued. You’ll increase comprehension by 50% with the inclusion of graphics and pull outs. Grow skills and knowledge of your team with brief training modules followed by a test for comprehension. Mission Control will ensure your team is aligned.